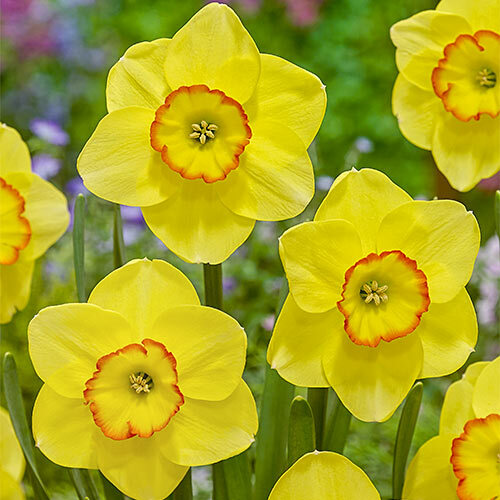 Daffodil of the Year for 2018! This bold, bright beauty has clear, vibrant yellow petals and bowlshaped cups edged in striking orange-red. Bred in the U.S.A., showstopping Pacific Rim is a born perennializer that produces loads of easy-care blooms year after year. Containers, borders and beds come alive with the brilliant combination of yellow and red, stunning friends and neighbours as they pass by. 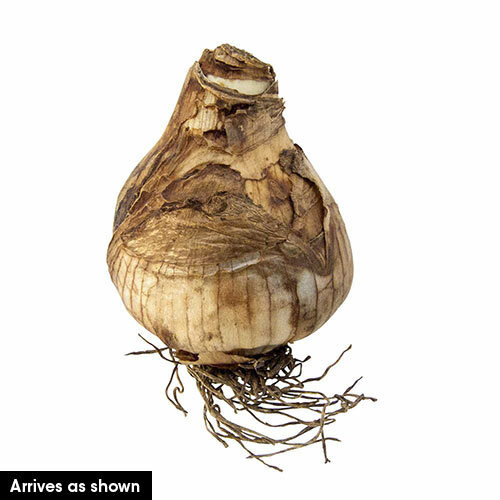 Tolerant of many soil types, it is best grown in well-drained soil. Flower Form Classic Daffodil shape, 3.5" in diam. The cup is bowl-shaped and shallow.